On the edge of the village Reischach, at the foot of Mt. 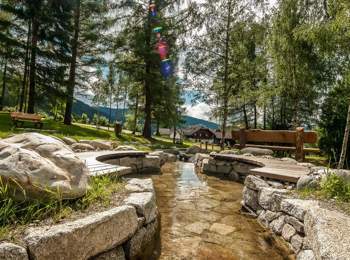 Kronplatz, you can find a wonderful Kneipp area. 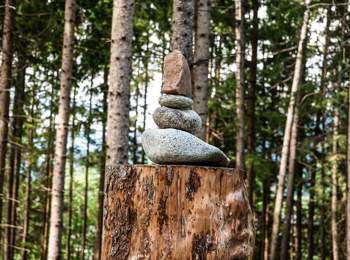 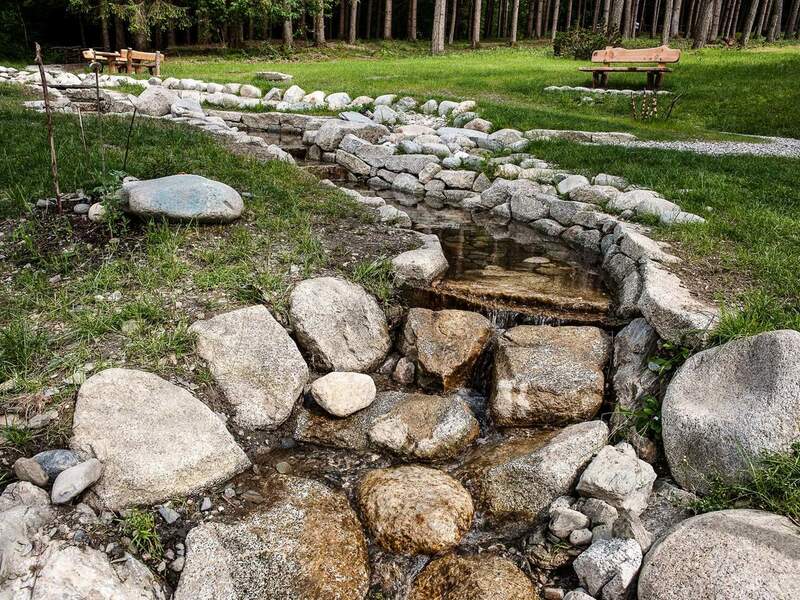 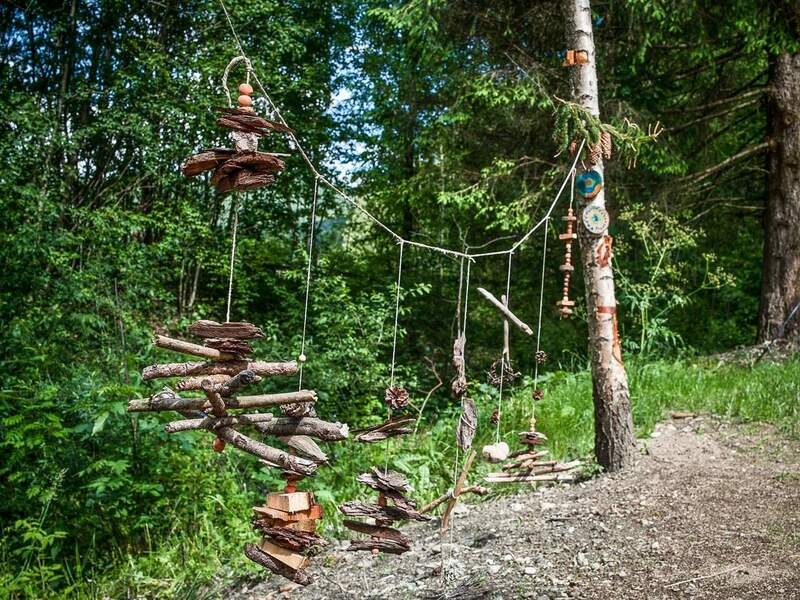 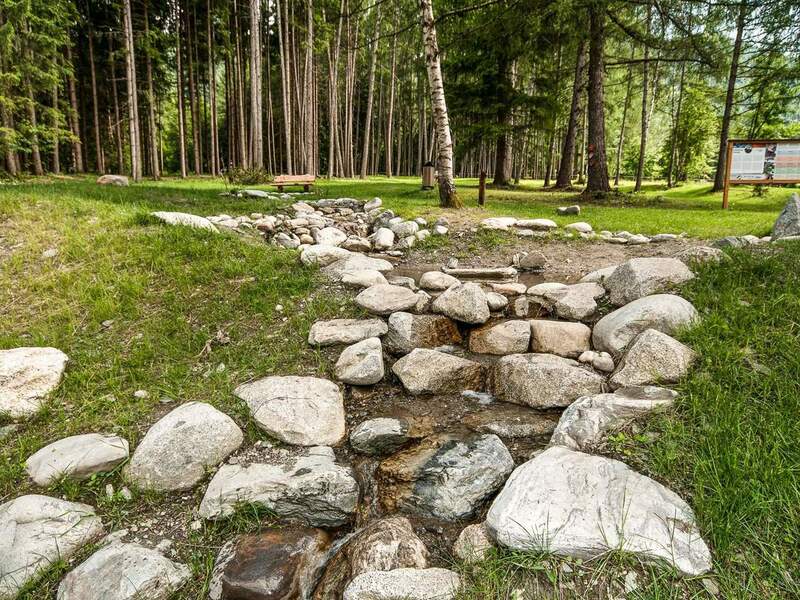 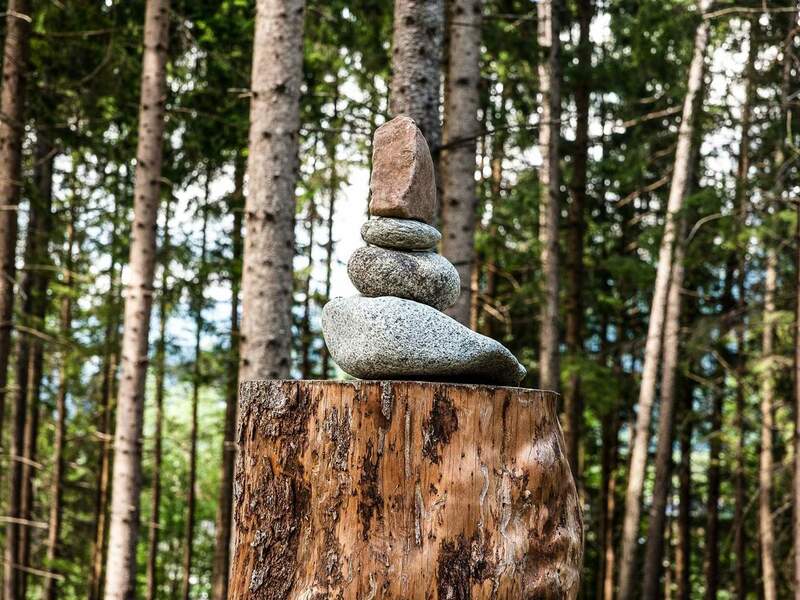 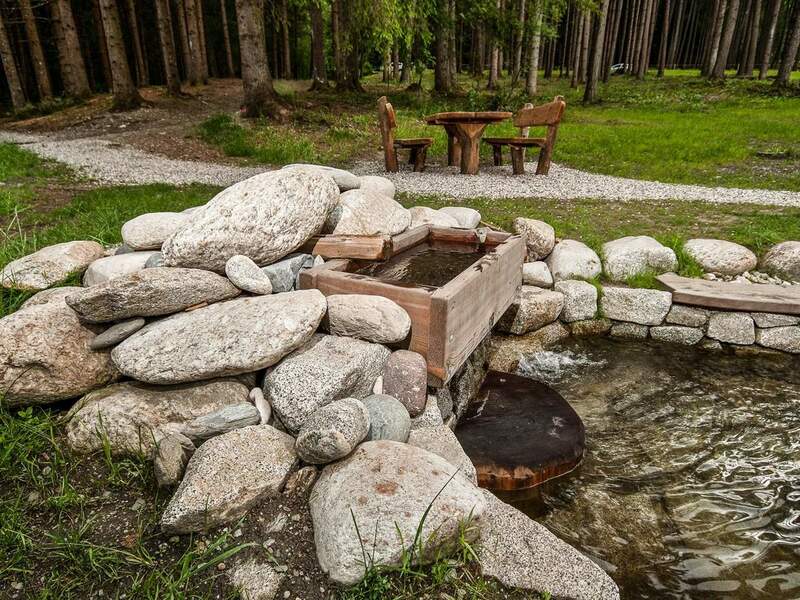 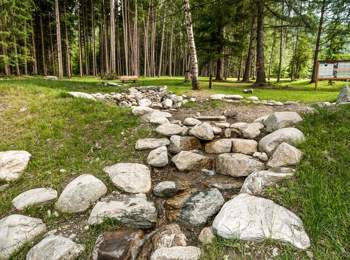 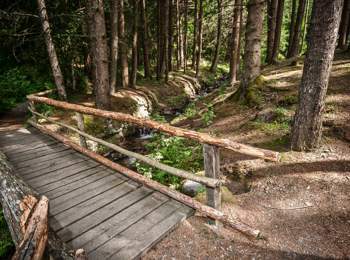 It is surrounded by larches and offers everything you need for a pleasant wellness experience in the middle of nature. 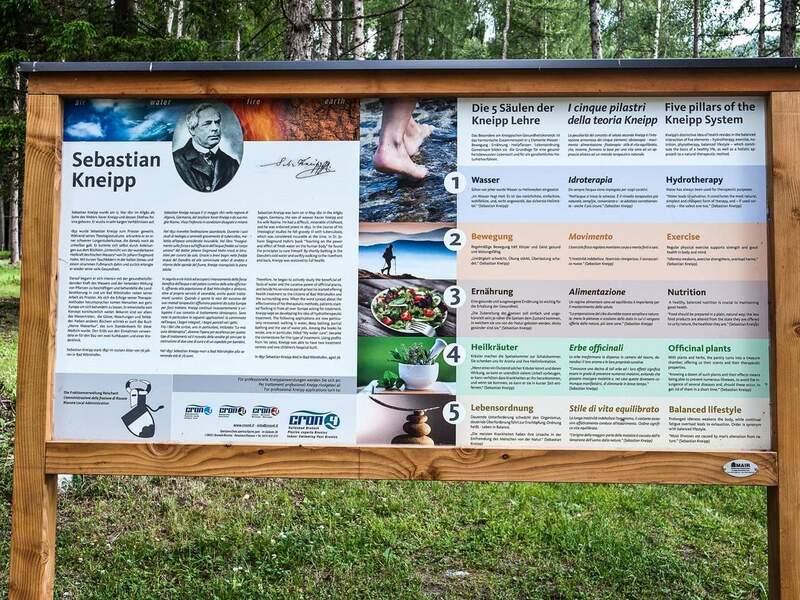 The traditional Kneipp medicine or Kneipp therapy was established by priest Sebastian Kneipp and is based on treatments with cold water and stimulus, which activate the self-healing power of the body. The Kneipp therapy is good for soothing different health problems and for health prevention. 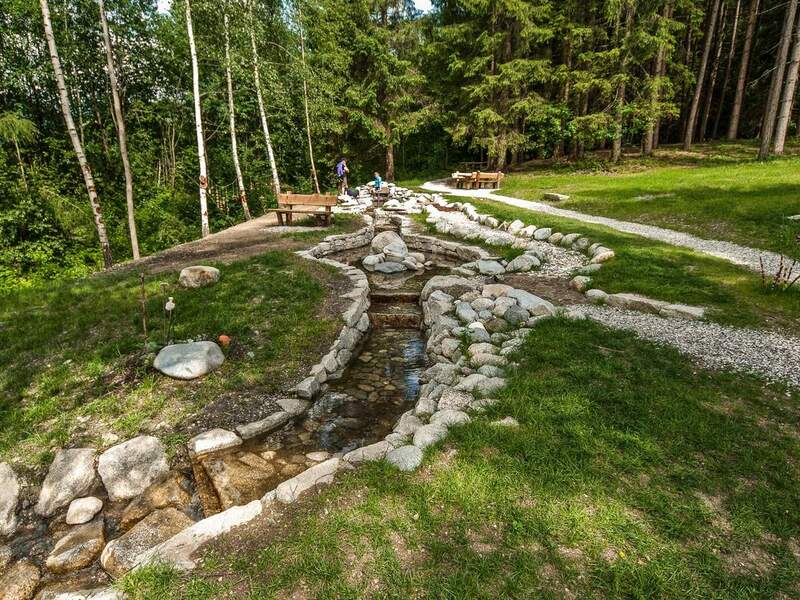 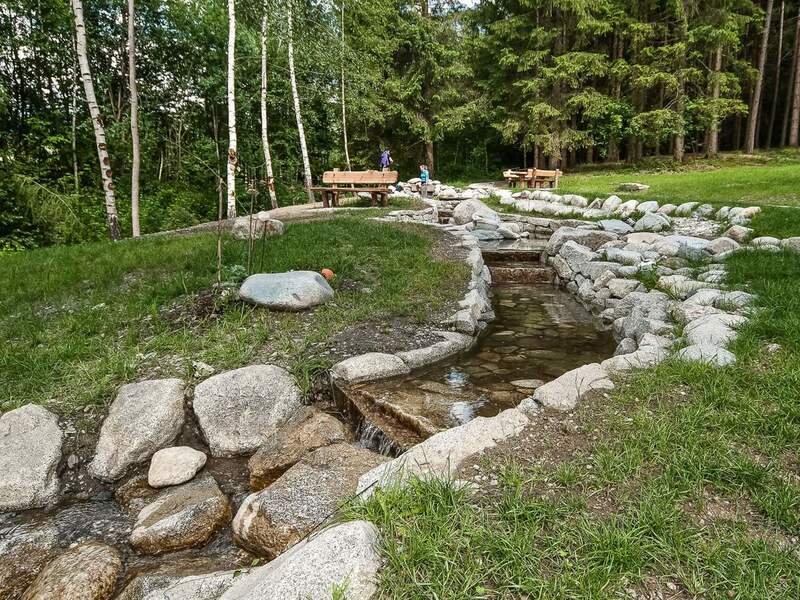 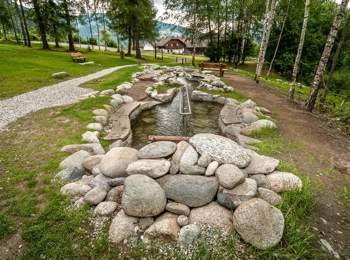 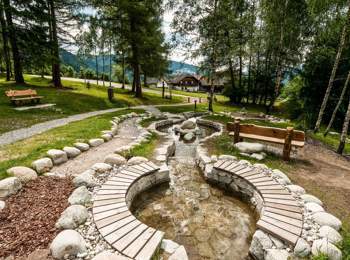 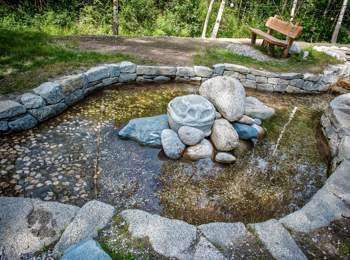 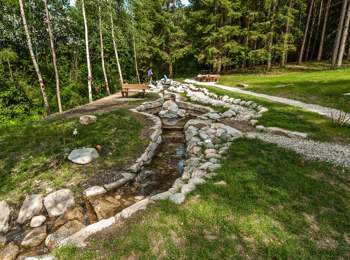 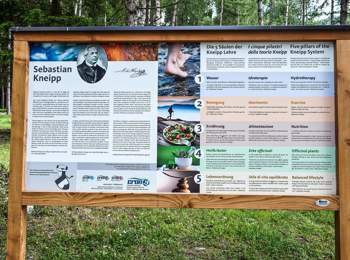 The Kneipp path in Reischach near Bruneck offers a basin for wading through cold water and a basin to immerse your arms. 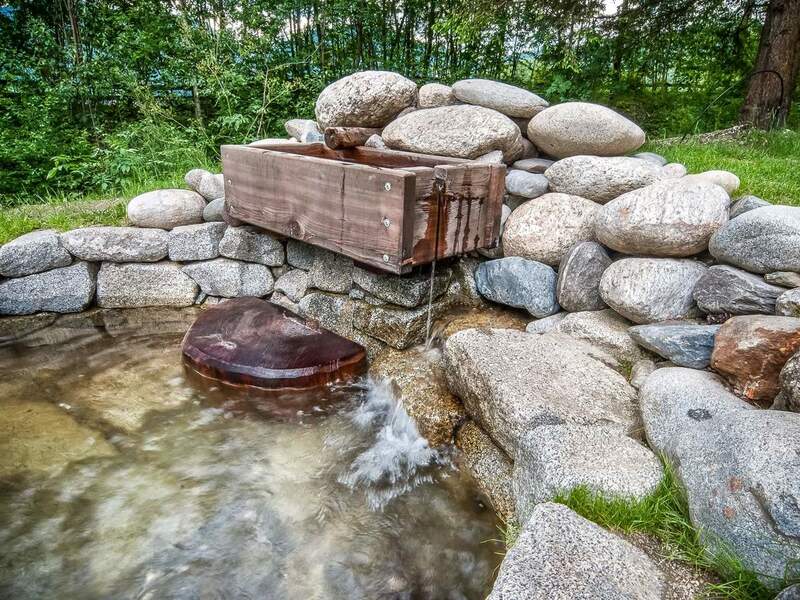 Both basins are filled with fresh, flowing water from the mountains, which has a refreshing and invigorating effect. 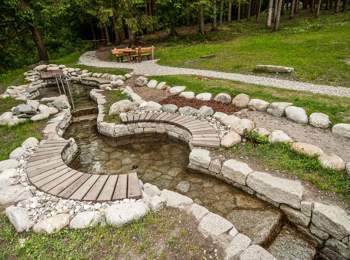 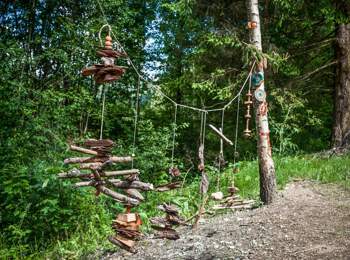 The Kneipp area comprises also Kneipp stairs and a barefoot path from different natural materials, which are stimulating and giving you a natural reflexology massage. 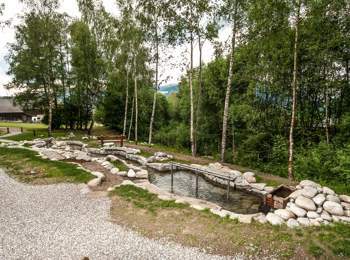 After the treatments your body needs some time to relax and to recuperate. 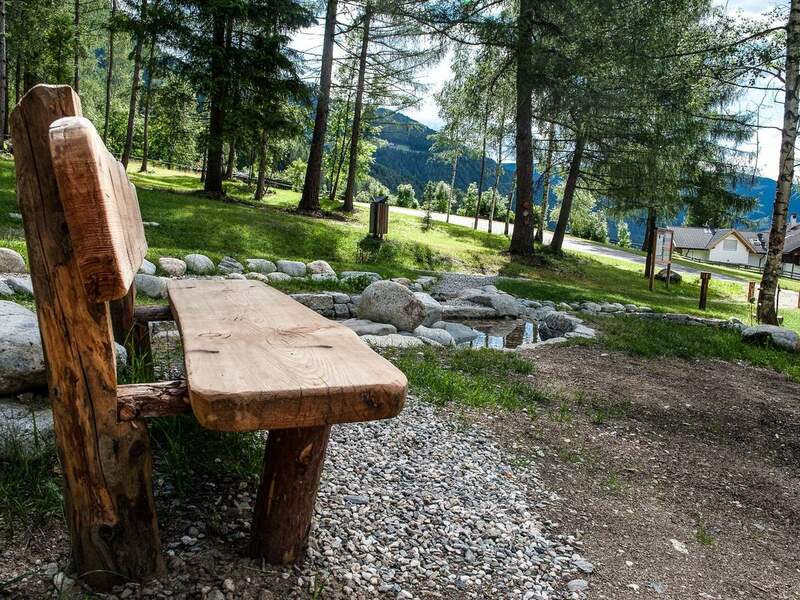 Cosy seats invite sitting down and to spend some relaxing moments. 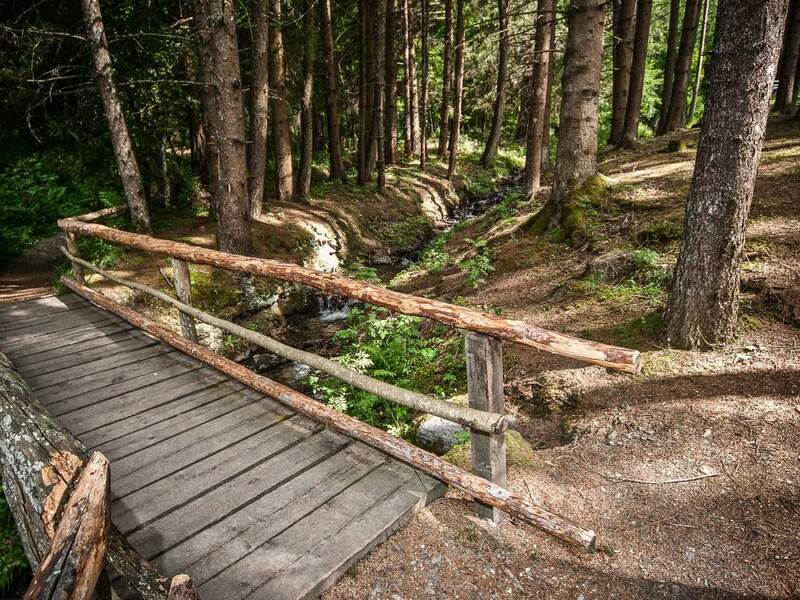 All in all, the Kneipp path in Reischach offers an integral wellness experience in the fresh and healthy wood air. 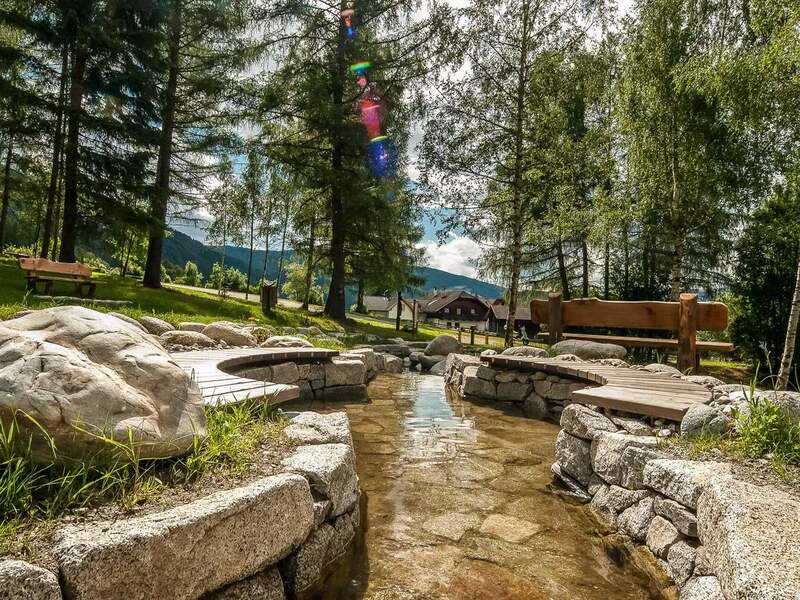 If you like to enjoy a refreshment and home-made specialities, you can visit afterwards the nearby Hotel Petrus with its inviting terrace.